This was a little bizarre. For the first time, my meatballs came on a separate tray, and were not incorporated into the dish. I have a rule that I take pictures as they are served to me - I don't dress them up, I don't photoshop anything, I don't send back food that looks bad. I want the pictures to be an accurate representation of what a customer can expect. But "some assembly required" isn't what you can expect at Olive Garden. This was a weird fluke. 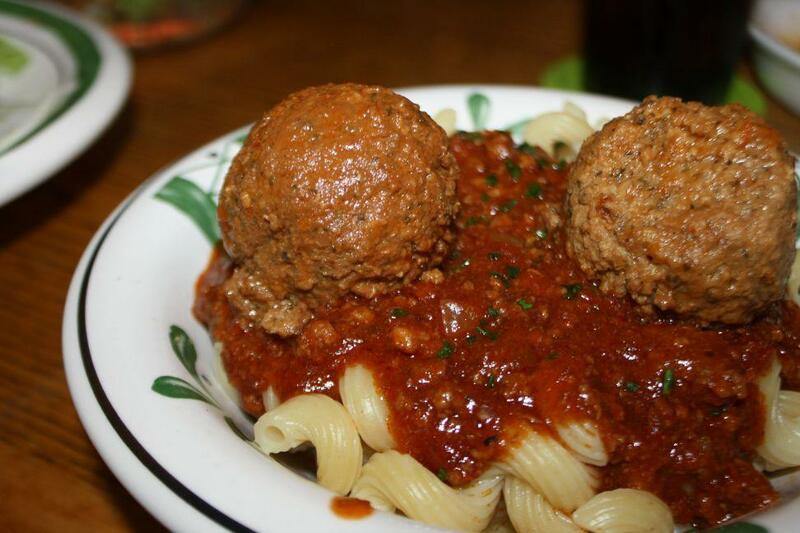 So I put the meatballs on myself and snapped this picture. I hope you can forgive that I have gone mad with power. Pictured here is Vidi - straight ballin'.